I would never have thought that I would have to worry about covering my children's ears while they were swimming. But when Pumpkin ended up having to have tubes put in his ears we quickly learned that he had to have his ears covered while swimming. We tried several different ear plugs with not much luck then a friend gave us a Ear Band-It to use that her boys had outgrown. The Ear Band-It was a lifesaver for that summer but Pumpkin outgrew it so that's when I decided to contact Ear Band-It to see if we could team up for a review and was super excited when they agreed. Not only did Pumpkin get a new Ear Band-It but Bubba and Sweet Pea got one too along with Putty Buddies! 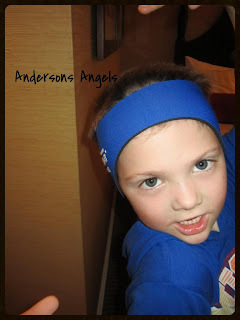 Though all my kids do not need to wear the Ear Band-It Ultra I think its a great idea because it helps keep water out of their ears so no chance of them getting swimmers ear. I really like "GRIP TECH" Neoprene inner lining of these headbands because they help keep in place and it offers 100% super soft neoprene comfort for your little ones. The Ear Band-It has ultra strength properties by being 33% thicker. These headbands are recommended by physicians for swimmers with ear tubes or ear drum perforations. 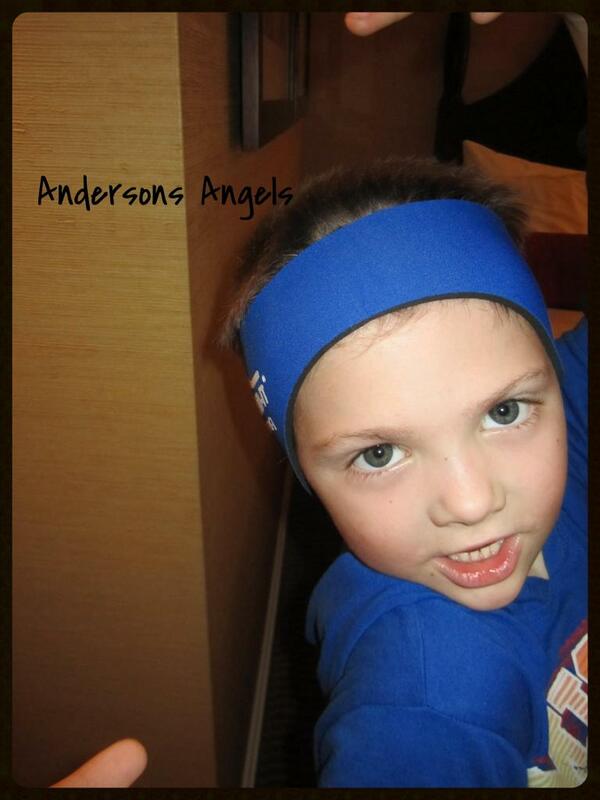 The Ear Band-It comes in sizes small, medium and large. Small fits or is intended for ages 1-3, medium is for 4-9 and large is for ages 10 through adults. They come in a wide variety of different colors so you are sure to find one that fits everyone tastes in your family. I like that the Ear Band-It has very easy to clean if you follow their instructions. 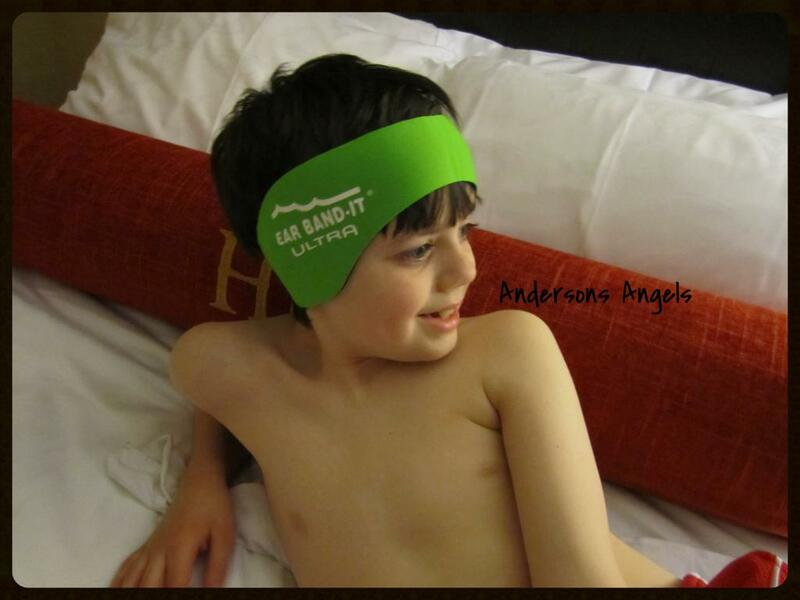 The nice thing about the Ear Band-It is it stays clean in chlorinated pools, bathtubs and showers. If you do need to was it you would just simply use a mild detergent and then allow it to air dry. It is recommended that you use earplugs along with the Ear Band-It to effectively keep water out of the ear canals. We received Putty Buddies along with our Ear Band-It Ultras to review as well. The Putty Buddies are silicone earplugs. I like how simply the Putty Buddies were to use compared to other earplugs i'd tried to use in the past. I was also very happy to see that they float if they do fall out so no trying to search the bottom of a pool for your lost earplug. The Putty Buddies are also reusable and come in their own cute carrying case so they are easy to keep clean and ready for the next time needed. I need one of these. I'm the one that has ear problems. These sound like they'd be great! Ahhhhh. I had tubes in my ears as a kid and my parents had to shove these horrible waxy balls into my ears. It was awful. Wish I had had one of these! This looks like an awesome product. My son had tubes when he was little and we really could've used something like this. We didn't have anything like this back then. That is a great idea. I have not really had much problems with my ears when swimming, but my husband does. Why I had to stop deep sea diving is because he can't with his ears. Thanks for sharing. I purchased the Ear Bandit Ultra for my 4 yr old a few weeks ago. We have a swimming pool and she has not been able to swim because of swimmers ear. This product is such a blessing. She is back to swimming like a fish!